Which one do we like better, guys? Thank you for your comments! Me: Hey, Jake and I are going to redecorate his room over February vacation. So do you want to take April vacation? I sure hope I have a job by then, and if I'm new to a job I can't take a week off yet. DF: Sure. I can take off April vacation. Me: So, you've got April vacation, right? DF: No, I thought you said you were taking it? I am taking a different week off to work on my house, and can't take another week right now. Luckily (for this situation anyway) I am still the Jobless Wonder, and I will be very happy to have Jake for April vacation. But seriously...why do I try to communicate with him????? "Condoms. Condoms in the bathroom." Jake obeyed me and jogged to the kitchen, but he was a little unsure of my intentions, and called out, "I'm not sticking my hand in anything!" It's that time again! 12 of 12 is the brain-child of Chad Darnell. If you've never participated, why not check it out? 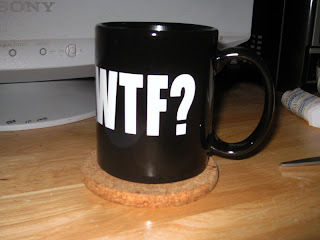 My first cup of coffee for the day. Yum! 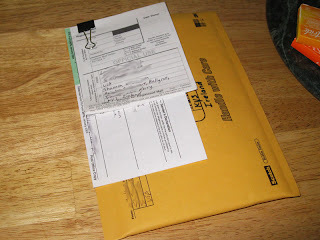 Here's a package I need to bring to the Post Office today. 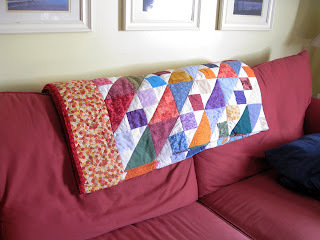 My sofa, and my latest quilt. 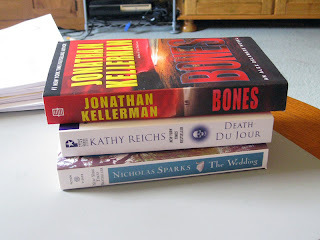 My three new books that arrived yesterday. I can't decide which I want to read first. Seth Green Twittered a link to this. 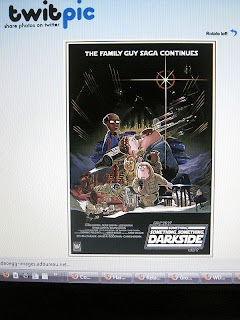 It's going to be the 8th season opener for Family Guy. 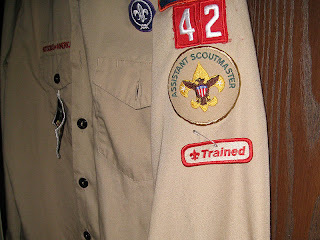 Here's my ex's Boy Scout Assistant Leader uniform, which he's asked me to sew a new patch on. 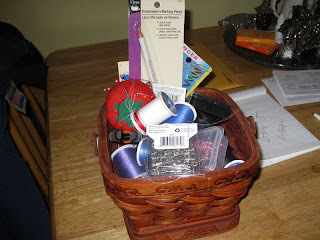 And here's my sewing basket. Well, one of them. This one's mostly just a jumbled mess of items I use frequently. 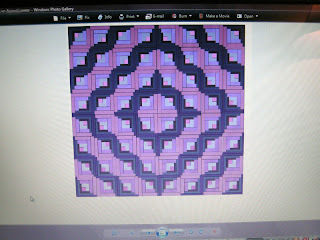 This is the mock-up I've just made of the next quilt I am going to make, a curved log cabin. Supper. 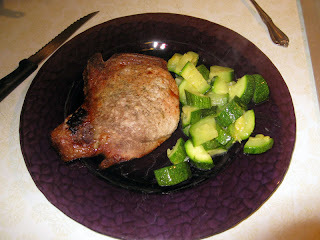 Pork chop and zucchini. 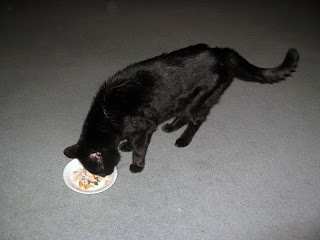 Kitty enjoys her share of the pork chop. My feet. They are in terrible need of a pedicure, but - HEY! - new toe ring! Me: Yeah, because if we sell one of your kidneys to pay for your braces, we can't sell one to pay for the trip. The Boy: Yeah, but we can sell a portion of my liver, and it will grow back in a week. That's my boy, always thinking! 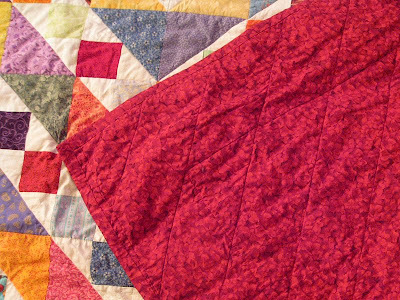 I want to make a curved Log Cabin quilt, and an Irish Chain quilt. Jake's going to kill me. 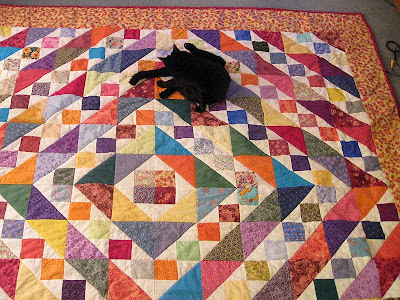 OTOH, I could make the Irish Chain quilt* with the intent to sell it, and then it is work, not play. Yes, that's my story. 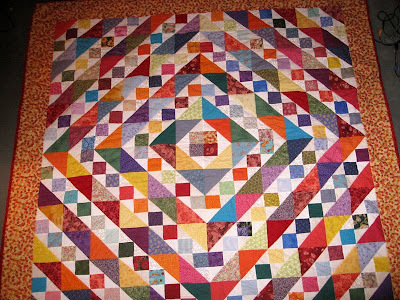 Even standing on a chair, I could not fit the whole quilt in frame. 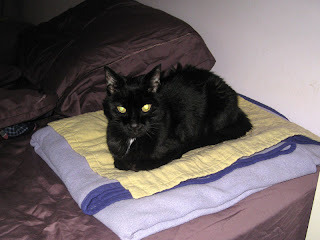 The cat gave it a test-run. I think she approves. The backing. I used many colors on this, but I used yellow and red for the borders and backing, so it would match my living room. I don't usually care for oranges very much, but I really like this one. Sorry for the blur. For some reason I really like this one. 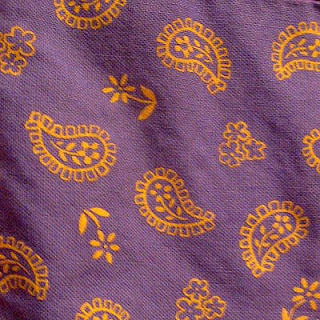 I also don't usually go for paisley, but I really like this, I love periwinkle, and it looks great with the yellow. 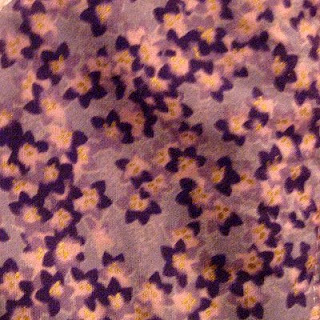 This is one of my all-time favorite fabrics, it is Chinese bellflowers, purple on periwinkle, with gold in the centers. 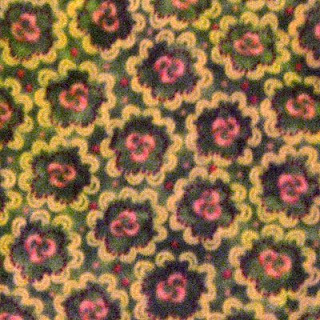 I originally got this fabric to back my silk quilt, and have also used it on a lampshade and on an upholstered stool in my bedroom. 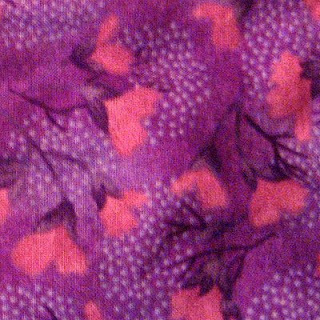 Another Asian fabric, purple and pink. This is a new favorite, I bought it just for this project, for the border. 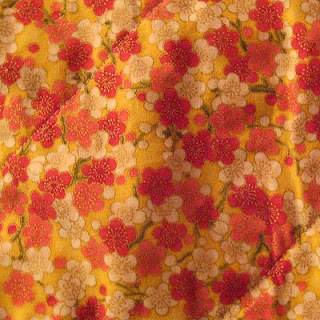 It's cherryblossoms in red, pink, and white, on a yellow background, with gold. 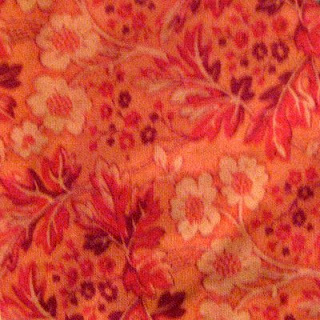 This cost twice as much as I usually let myself spend on fabric, and I never would have done it for a backing, but since it was for the border I only needed 2 1/2 yards, so I went for it. The sound of the sewing machine has been driving Jake absolutely bonkers (now that he's in puberty, his X-men superpowers are emerging, and one of them is Super-sonic Hearing). I had to promise him that I'll take a break from sewing for a while. 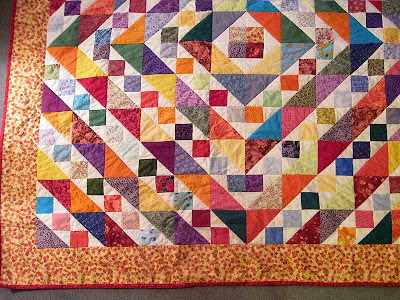 But I DID add that I have a friend who's expecting a baby in May, and I am going to make her a baby quilt before then. I ended up with my own $50.